Welcome to the OBX Bowling Center in Nags Head! 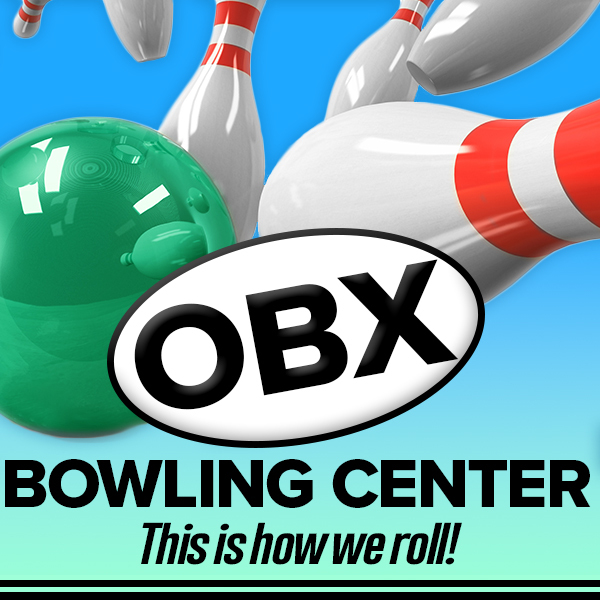 OBX Bowling Center in invites you to all the fun and excitement our Nags Head Outer Banks bowling alley has to offer. From late night rock n' bowl, to our league tournaments, and even parties for the little ones. We also have an updated arcade and cafe stocked with goodies like everyone's favorite...Pizza! Be sure to check out our different specials and we look forward to seeing you and your family here soon!